With the release of Kinect on the Xbox 360, it was soon apparent that at least a few titles shoehorned motion controls in their titles. DICE, however, will support Kinect on the Xbox One for Battlefield 4 but they have promised that they won’t “motion controls”. If you won’t be flailing your arms around like a crazy person while playing Battlefield 4 on the Xbox One, then how exactly does DICE plan to use Kinect? When you look at the kind of games that we build – or Battlefield at least – it is a first-person shooter that is very much about skill. Input is really important. You need to have very precise control over what’s going on, and trying to do something like that with motion control input does not make sense – not if you want to keep the same kind of formula of the game as we [have] now. You’d need to build a different kind of shooter. But there are other places where it will make sense, and we are going to use it for other things in the game, but we haven’t announced exactly what. 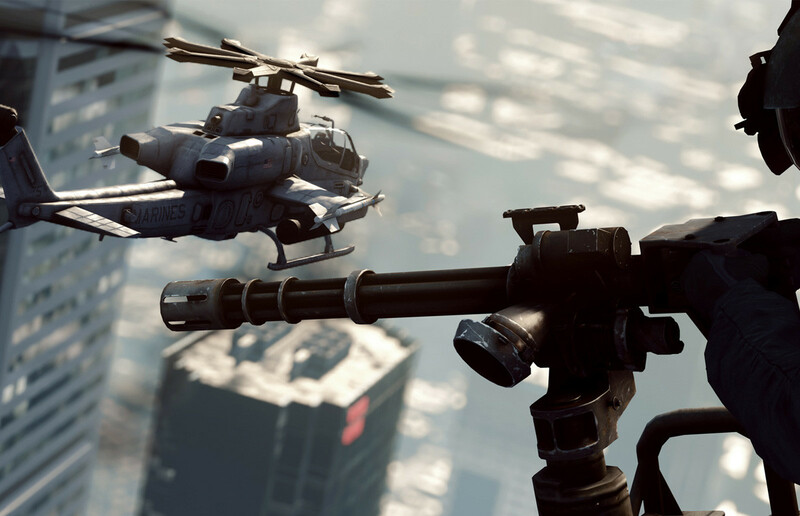 While DICE doesn’t go and directly say what their plans may be for Kinect and Battlefield 4, we’re leaning towards voice commands for things like commanding your squad, asking for ammunition or health, and switching weapons on the fly. Are those must-haves for the game? Probably not, but voice commands worked rather well in Skyrim.